I have a clear memory of being 18 years old and making a decision about my future. I decided that I would have no money. I’d passed my A’ Levels and had a place at University. In those days (I’m old enough to be using that phrase) a degree made it easier to get a job and earn a decent wage. But even before I went to university I decided I’d have to be poor. Because I wanted to be a writer, and as my mum had frequently told me; you couldn’t make a living being a writer. So I’d learned that already. One year into my degree course, I went to see my personal tutor and informed him that I wished to ‘drop out’ because I wanted to write a book. I can’t remember there being much discouragement from him, although it was a major disappointment to my mum. Maybe the tutor believed I would write. Maybe dropping out didn’t seem so bad to me: I wouldn’t have a loan to pay back as students do these days. I’d been awarded a full grant due to my father being on a low wage. So I’d already learned to be fairly poor. I left Uni and bitted and bobbed at writing this book and that, but I was never able to apply myself adequately to the job-in-hand and always got distracted by something else. I could never settle on a decision between the visual and written arts. Not to mention various craft activities. I’d learned that I was creative in many ways. I also learned that you had to stick at something if you wanted to do it properly, and I hadn’t learned to do that yet. But eventually I gravitated more strongly towards the visual arts and completed a fine art degree. However, the pull of writing was always there. I learned that it had a hold on me I would never escape. It was in the final year of my art degree that I wrote the stories that would eventually become my first and second novels: The Last Time We Saw Marion and Another Rebecca. I learned that a good story will stay with you over time. I got married, had four children and built up my practice as an artist. When I became a single parent, my youngest child was one year old and her brothers were aged four, seven and eight. I used to take them with me to the community art workshops I ran in the village we moved into. Every now and then I dug out my handwritten copy of the one novel I’d ever completed and typed a bit more of it into the computer. We scraped by with the money I earned from workshops and the occasional sale of a painting; support from the children’s father and tax credits from the government, and much use of the ‘cheap basket’ at the supermarket. When my children grew older, I was able to undertake a Masters’ degree in Fine Art. Following that I was offered a job as an art teacher in a secondary school. This is where I learned the best lesson of all: self-discipline. To teach a lesson I had to write a lesson plan. This included aims, objectives and outcome. I had to specify how many minutes would be spent on each aspect of the activity and what would be achieved at the end of it. Not only that, I was being ‘observed’ (judged) by higher echelons of staff at the school. Finally, I’d learned how to see an objective through from beginning to end. It was formal teaching that taught me to write. When my jobs in the two schools I worked at came to an end, I decided to apply myself to writing full-time. I was married again by this time and lucky enough to have the belief and support of my husband behind me, but I do believe I would have reverted back to writing eventually. I’d never completely let it go. 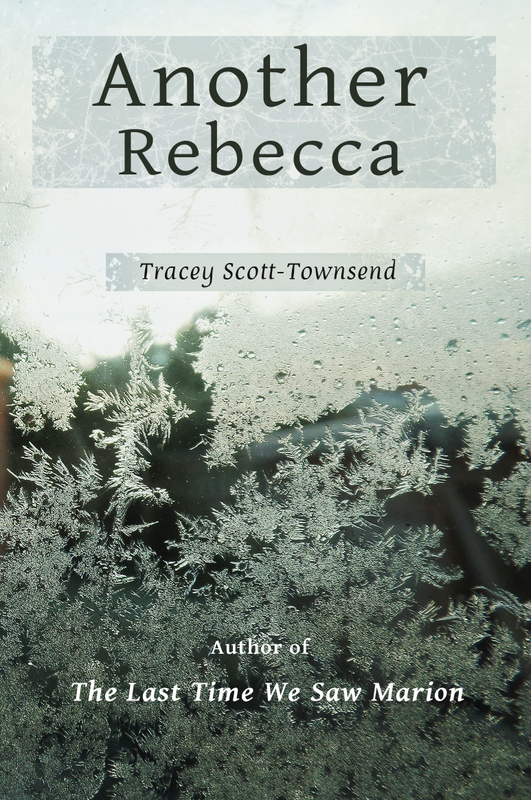 In rewriting The Last Time We Saw Marion and Another Rebecca, I put all my experiences of the intervening years into the stories I’d originally written when I was a student. I had learned that experience makes a story stronger.